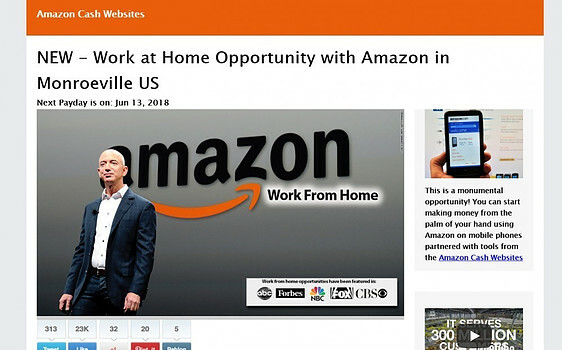 Category Archives for "Work At Home Jobs"
If you are out on the prowl to find a job online, where you can work remotely from the comfort of your house, there is a good chance that you could run into a scam that seems to be an opportunity provided by Amazon. There are plenty of Amazon work at home scams out there and you have to be very cautious with what you get involved with. I have been involved in online marketing since 2015 and have come across numerous different Amazon related work at home scams over the years. They come in all different shapes and sizes, some more believable and sneaky than others that may be obvious that they are scams. 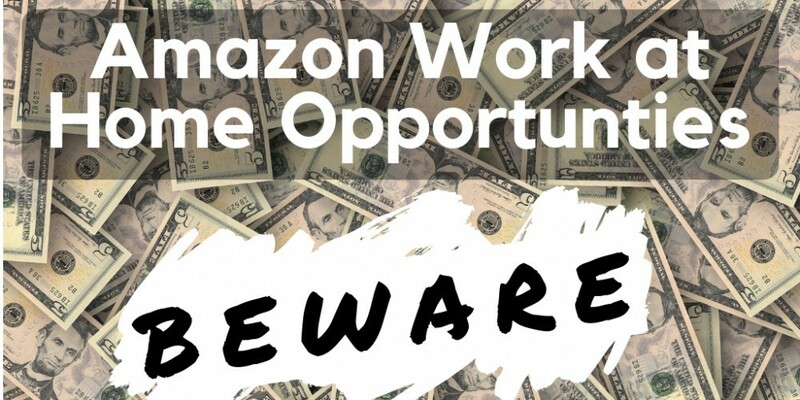 But anyways… The point of this short post is to warn people that, while Amazon does have legitimate work at home opportunities, there are also many scams out there taking advantage of the popularity this e-commerce giant has as well as unsuspecting individuals who are just looking to make a buck online. The online world can be quite a nasty place if you don’t know where to look. Because communication between individuals lacks the human touch element, people seem to be more willing to scam others relentlessly without much care to what they are really doing and to the situations the people they are scamming may be in. What Are Amazon Work at Home Scams? When I say “Amazon work at home scams” I’m talking about any sort of scam to make money online that is associated with Amazon. Now of course the scams aren’t actually created and promoted by Amazon themselves, but they do use the Amazon name and in one way or another make you believe that there is some incredibly easy opportunity to make money with Amazon and that with their “system” or program you are going to be able to make this a reality. It seems that as Amazon grows in popularity, so do the scams associated with them. Right now it seems that I come across at least one new scam of this type every month, but I would say that usually multiple times per month a new one pops up. The reason for this is simple… Amazon is now a household name. Everyone knows about Amazon, no matter whether you are old or young. And… Everyone knows that there are legitimate ways to make money from home with Amazon. So the scammers capitalize on this popularity and lure in people who are trying to get on board and grab a piece of this multibillion-dollar pie. When I say that scams like this are everywhere, I really mean it. And… Like I said… They come in all different shapes, sizes, forms, etc… Some being incredibly believable while others being not all that well put together and pretty obvious scams. If you ever come across some opportunity of this kind, it is always a good idea to do your own research and to look into whether or not it is legitimate. If there is some new opportunity that has been opened up by Amazon themselves, then you should be able to find a reputable source stating such information. If not, it is probably a scam. Just to give you an idea of what I am talking about here, below are some examples of scams that I have exposed in the past on this very blog. They are very different, but they are both using the “Amazon” name to lure people in and then scam them out of their hard-earned money. The first example I have for you is one of the largest work at home scams like this that I know of, called “Amazon Cash Websites“. This scam is fairly well put together and I am guessing it is working pretty darn good, because it has been going on for a while now and is still up and running. The news stories usually look pretty darn believable you and well put together… Which is the reason why this scam has been so successful. But anyways… The fake news stories will tell you that in order to capitalize on this new work from home opportunity, you have to purchase some program that provides training and a toolkit so that you can make money with it… But it is all a scam. You will then be directed to the actual scam from the fake news story and it usually at this time is a little more obvious that this is probably a scam. However, the news story was so darn believable that you may get sucked into it and end up losing some money. This is a totally different type of Amazon scam. This one does not present itself as a new opportunity from Amazon themselves, but rather as some new awesome “system” that is going to allow you to make tons of money from Amazon. This type of scam, many times, lures people in by telling them that they have put together some “done for you” system that is going to allow you to make tons of easy money through Amazon… And of course you have been one of the people who have been carefully selected. Then, after you buy in, you are usually provided with some very basic training for making money on Amazon that will certainly not get you to the level of earnings that you were expecting. In other words, these are complete scams because they do provide some value, such as training and tools, but are promoted in an extremely misleading and deceptive way, which thus qualifies them as being scams in my opinion. You might be wondering how some of the scams can get away with what they are doing. How can, Amazon Cash Websites for example, get away with it when they are using Amazon’s name and claiming that there is some new work at home program that is opening up in your area. Well… Yes it is illegal but unfortunately scams like this are always going to exist and will never be able to be completely stopped, which is why avoiding the scams comes down to you. It is up to you to make good decisions and to avoid them… You can always count on law enforcement and the protection from others to save you from such as scams. Well… Many of them can be stopped, but the problem is that it just takes too darn long to stop them. The scams come at a dime a dozen and it is just so much easier for scammers to create new scams than it is for them to be stopped. Take the one scam that I mentioned above for example, the one that presented some new work at home opportunity from Amazon with a fake news website. This scam seems to have been stopped a number of different times, but the problem is new ones keep popping back up… New ones that are identical. The fake news site may get taken down but soon after it is a new one is just going to pop back up. It is incredibly easy for the scammers behind such scams to purchase some new domain and re-create the scam all over again. As I mentioned earlier, the only way to really stay safe is to do your own research and be smart about what you get involved with. You cannot count on other people, such as law enforcement, to protect you from things like this. I have no idea how many people actually get scammed every day online, but I can imagine the number is astronomical. So always do your own research and if anything seems a bit off, or a little bit too good to be true, then proceed with extreme caution and keep in mind that you are looking at could very well be a scam. Since you are reading this post about work at home scams dealing with Amazon, I’m guessing that you probably were (or are) looking for a way to make money from home with them. If so that I can help you out a bit by pointing you in the right direction. You see, I’ve been making money online since 2015, and while my income started off very small, I have been able to turn what I do into a full-time moneymaker. I now make a living working from home and make the majority of my money from affiliate marketing, which is when you promote products online and earn commissions if you help make a sale. Affiliate marketing is one of the legitimate ways to work at home and make money from Amazon. They have their “Amazon Associates” affiliate marketing program in which you can get paid to promote their millions upon millions of products. It is actually the best affiliate marketing program in the world due to Amazon being so popularity and having such a wide variety of products. 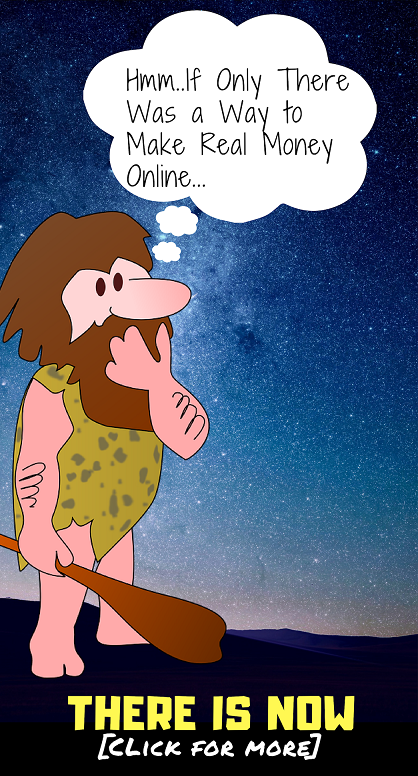 However, most people that get involved with affiliate marketing make a mistake… They think it is going to be simple and go off on their own to try to promote products and make money doing so. If it were simple than everyone would be doing it in making tons of money, but of course it is not. There are a lot of different affiliate marketing training programs out there, but my recommendation would definitely be Wealthy Affiliate. Why? Well… Because this is where I got started back in 2015 and I have since been able to make a living doing this stuff, as mentioned. Wealthy Affiliate provides amazingly simple step-by-step training and the tools needed to make money doing this. Don’t leave you in the dark. But anyways… You can read my review of Wealthy Affiliate here for more information. I’m not going to get into it all in this post. There is a new mystery shopping scam going around called American Consumer Eyes. If you have been contacted by this company then do NOT follow through with what they want you to do. The job they are giving you is fake and you could potentially lose thousands of dollars, as other people already have. You might be wondering how the scam works and how they can possibly scam you out of thousands of dollars and in this quick review I will explain how. But the bottom line is that this is a scam that you don’t want to get involved with. There are plenty of legitimate mystery shopping jobs out there from companies that really will pay you to do a fun little mystery shopping gigs, this just isn’t one of them. American Consumer Eyes that’s a very nice-looking website, one that seems to be the real deal. They claim that mystery shopping is their main service but they also provide web surveys for companies to help them improve their brand. This makes sense because it is another good way to get people’s opinions on things and paid surveys for market research are very popular these days. In addition to this they also claim to provide marketing research service. The mystery shopping job is advertised as a way to make up to $300 weekly. Nothing stands out here as being a scam either. This is by no means in outrageous claim… $300 a week seems reasonable. However, when you go to actually apply for the mystery shopping job you are then told that you could make up to $300 per shopping trip. Now things are starting to seem a little more scammy. But anyways… As I said this is all a scam. A very well laid out scam, but a scam nonetheless. I would also like to point out that this scam is a fairly new one. They claim to have been around providing these services for over 20 years but this is just a lie. I have not been able to find any such information showing that they have been around even relatively close to this length of time. From what I have found out their website was just created in 2017. So How Do They Scam You? A little while after you apply for the mystery shopping job you will get an email saying that you are about to get your first assignment and a package will be coming in the mail to you. It will be a very upbeat email filled with excitement and is naturally you may get excited… But what the heck are they sending you a package for? This may seem a bit strange… Because it is a bit strange. The patent they send you will be a check for usually a very large amount of money, in the thousands of dollars range. After you are send the check they usually then do most of their contacting via text. They will text you with additional instructions and tell you to text some number once you have completed the mystery shopping task. The start of your task begins with you depositing your check or cashing it at your bank. The most common mystery shopping task that they seem to be scamming people with is getting them to send some sort of money order. I have heard of people being asked to send money via MoneyGram to someone else and I have also heard of people being asked to go into Walmart and send money to someone using their Walmart 2 Walmart money transfer service. What they tell you is that the point of this all is to test out the customer service when it comes to sending money. Makes sense… After all, with mystery shopping it is all about testing out customer service so that the stores can better improve how they operate. In the only way to fully test out the many sending services is to actually send money, right? What happens is that you will go and deposit the check, sending money, and then later find out that the check you deposited was a fake and you will have to pay the bank back. The reason this happens is because these are fake cashiers checks and much of the time it will take the bank a little while to figure out that they are fakes. If you are lucky, the bank will stop you right there and then as you are depositing check. They will pick up on it being a fake right away. However, much of the time this doesn’t happen and you will be forced to pay the money back after you already sent these scammers money as instructed in the fake mystery shopping job. I have also heard of people being sent massive checks, such as one person being sent a check for $2897.91 just to go shopping at places like Costco, Walgreens, Target, etc. These ones don’t make much sense to me, I’m guessing that there has to be more to the mystery shopping job than these people were told. Because if you are just told to go shopping then the scammers aren’t actually going to be making any money. You will still get screwed because you will end up spending money that you’d never actually had, because the check is fake, but the scammers will get paid. My guess is that there is more to the story here. But anyways, the main mystery shopping scam going on here is getting people to send money to the scammers using some store’s money sending service. How Much Money Are People Losing? This is by no means a small scam that should be taken lightly. People are losing thousands of dollars that they will never be able to get back… Or probably never. There or a lot of legitimate mystery shopping job opportunities out there and none of these are going to send you some massive check in the mail like American Consumer Eyes does. From what I have found, many of them just seem to reimburse you after the fact. You will do your mystery shopping, but whatever products you are required to buy, and it will reimburse you after the job is completed. And usually the amount you are required to spend is minimal. I have reviewed a fair number of legitimate mystery shopping services that provide jobs on my blog here, such as Maritz Mystery Shopping, Stericycle Mystery Shopping, Market Force and others. If you’re interested in pursuing a job in mystery shopping then you may want to check some of these out. However, these jobs are fairly limited and they aren’t always hiring new mystery shoppers. American Consumer Eyes is it definite scam that you want to avoid. When I write reviews like this, if I am less than confident in any way or have any feeling that the opportunity could potentially be legitimate, then I will say so. But this does not apply here… American Consumer Eyes is a pure scam that hopefully will get shut down soon. But don’t count on it… The scam seems to be fairly professionally operated and I have seen plenty of scams get away with scamming people for years. Have you been scammed by American Consumer Eyes? If so I would love to hear about your experience. I am also sure that other readers of my blog here would appreciate you sharing it as well. We need to get the word out there to stop the scammers, or at the very least stop people from buying into this scam so that they don’t continually make money ripping people off. If you are looking to make money online in the world of proofreading, then Proofread Anywhere is one of the options you have. But what is Proofread Anywhere and is a scam? The courses provided are very expensive in the last thing you want to do is spend a bunch of money on a course that is just going to be a waste of your time. So is this the real deal or is this just another lousy digital e-course that you shouldn’t mess with? In this review I will be going over all you need to know. I will go over the courses offered, the prices, what other people are saying, and so on. Proofread Anywhere is a blog started by Caitlin Pyle that offers two different courses in proofreading, including general proofreading and transcript proofreading. It is similar to Transcribe Anywhere just its focus is in the realm of proofreading, which can potentially be a nice work-from-anywhere personal business. Proofreading, which I’m sure you already know, is a job where you are simply reading over written documents and checking for errors as well as correcting them. These could be simple or complex errors and the material you proofread could be a number of different types including legal documents, medical documents, blog posts, and anything really. Caitlin is the inexperienced proofreader. 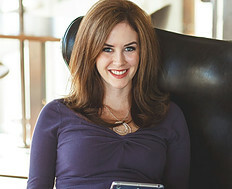 She has been proofreading since 2007 and worked in the court reporting industry starting in 2009. She enjoys the “freedom lifestyle” that proofreading gives her, since 99% of the work is done online and decided to create these courses to help others enjoy the same. As I mentioned, courses in both general and transcript proofreading are available. They are both put together based on Caitlin’s own experience in the methods that she has developed from that experience. In the transcript proofreading course there is also feedback from court reporters that helps shape the course. This course consists of nine modules and 60 units total, all of which are divided up into 4 different levels. Each level must be completed before moving onto the next and you will have to take examinations to show your knowledge and skill level before moving on, with the exception of moving from level 1 to level 2. The contents include worksheets, video training, tutorials, and handouts, with the focus being on theory, practice, and exams to prepare you for work as a transcript proofreader. If you do make it to the end and pass everything with a score of 90% or higher on the cumulative final exams, you will get a certificate of completion. Must score a 80 or higher on the skills test to move on. Learn 4 methods of correcting transcripts, which include doing a hard copy, errata, on a computer, and digitally using iOS. Have a checklist to work with. Provides practice at varying difficulty levels where you will get to mark up transcripts. Learn how to communicate with court reporters/agencies, preperation beforehand, custom preferences for each reporter, taxes, marketing methods for your business, and having a success driven mindset. The general proofreading course is a bit smaller. It only contains 40 lessons within a different modules. It it is still a good course but is just not as in-depth and thorough as the transcript proofreading course, which is expected since this is a general course and you could apply what you learn here to a variety of different areas of proofreading. This is where many people turn and run away. The courses here are great, but they are not cheap… Well at least that is what many people would say. One of the major downsides to only purchasing some of the levels is that you only get access to the program for certain amount of time. For example, if you were only to purchase level 1 you would only get access for seven days. If you would purchase level 2 you would get access to levels 1 and 2 for 30 days, and so on. With each higher level you purchased you get longer access and if you purchase the whole thing you get lifetime access. For the general transcription course it will either cost you $497 or $597 if you want he integrated exams in a certificate of completion. I believe you get lifetime access to the general transcription course with these prices. Overall the opinions students of these courses are very good. You are more than welcome to look around for yourself, but based on what I have seen they are extremely good. For example, on Facebook there are well over 100 different reviews from users and it has an average or rating of 4.5/5, which is pretty darn good. In fact, I haven’t really heard anything bad from the people who have taken these courses. They all seem to agree that the price is well worth it if you are serious about becoming a proofreader and want the guidance. Okay… well Proofread Anywhere is obviously not a scam. In no way is this a scam. Caitlin claims that her courses are the only proofreading courses like this out there, and I think this is the truth. I cannot find anything else like them, not even close. They are very well laid out and provide step-by-step guidance. It is not like there’s just a jumbled up mess of information that you have to filter through. You are guided on what to do, starting with the basics and building on it from there. Most programs that I review on my blog here I end up not recommending, because I can be rather harsh in my reviews, but this is something that I do actually recommend for anyone wanting to become a proofreader who doesn’t want to waste a bunch of time with trial and error going at it on their own. 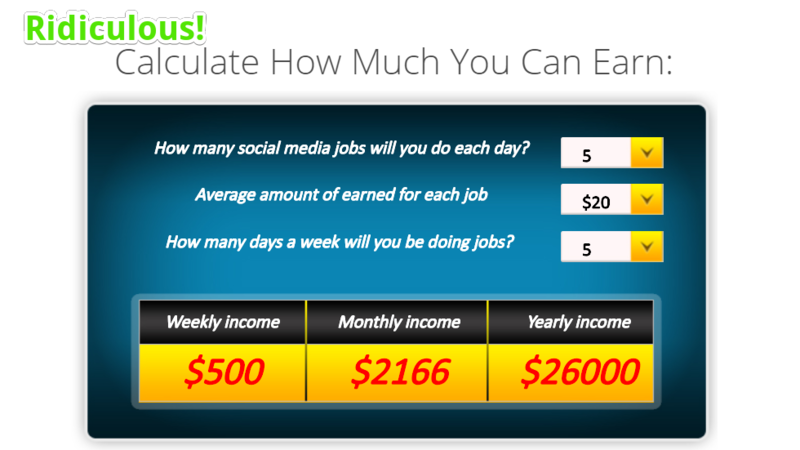 PaidSocialMediaJobs.com it supposedly a website that will help you “get paid to mess around on Facebook”. They tell you that you will be able to make money doing the things you already do on social media. But is this place really is great as it sounds? Or is it a scam in one way or another that is just going to be a waste of your time and money? In this review I’ll be answering exactly that. You are going to want to read what I have to say if you’re thinking about buying into this. It is not as good as it seems and there are some concerns that I will address. 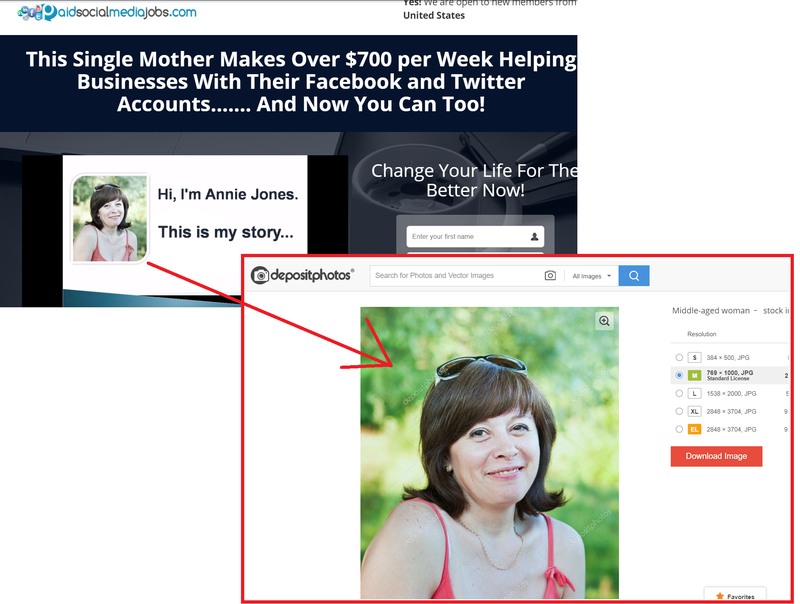 Paid Social Media Jobs is a site that was created by a woman named “Annie Jones” who was supposedly at one point a single mother who had lost her job and was struggling to make ends meet. Then she supposedly was introduced to this whole paid to social media thing by another mom and after that her life turned around. What her site, PaidSocialMediaJobs.com, does is provides some training and a database for different ages social. On the website she talks about how big businesses like McDonald’s, Coca Cola, and small businesses all are trying to gain popularity on social media, however, they are too busy and often outsource this type of social media management work to other people… which is where you come in. She claims that with no experience can make up to $25-$35/hr doing simple tasks such as post Facebook status updates, uploading Youtube videos, Tweeting, etc. Supposedly you don’t need any experience and it is “easy to get started”. Sounds a little bit too good to be true doesn’t it? Well yeah… That’s because she does make it sound much easier than it really is. This is the reason I’m writing this review because I want people to know the truth of it before buying in and finding out for themselves. The answer is yes. There are many different paid social where you can earn money tweeting, liking Facebook posts, creating pages, uploading YouTube videos, etc. However, it is not as easy as she tells you it is. It’s not like PaidSocialMediaJobs.com is the only place that you can find these social media jobs like she kind of leads you to believe. There are many different freelance sites out there, such as Fiverr, Truelancer, Upwork, or even Picoworkers, where you can find freelance paid social like this. And believe me when I say there is a lot of competition. It’s not like you just go out and start getting jobs that are paying $25-$35 per hour right out of the gate. This is incredibly misleading and just won’t happen. You are going to be in the freelance market and while it is possible to make $25-$35 per hour at some points, there is a very very slim chance that this will happen early on due to competition and even if it does happen it will not be sustainable. It’s not like you’re going to find a contract position paying this amount of money. Most paid social that you will find are “gigs” where you just complete something and get paid for that one job. Should You Pay $37 to Join? Like I said, there are plenty of other sites out there we can find these paid social. PaidSocialMediaJobs.com is nothing special when it comes to this. In reality, PaidSocialMediaJobs.com it’s worse when it comes to this. The database that they provide is not very “lively”. On much more popular sites, such as Fiverr as I mentioned above, there is a lot more opportunity… A lot more people looking to pay freelancers for these kind of jobs. Sure, if you join them pay the $37 you will receive some training on how to establish a reputable presence in the freelance market with social media jobs like this, but from what I have seen and know the training is very basic and can easily be found for free on Google, YouTube, etc. So not only are other freelance sites much better for finding paid social media jobs because they have much larger databases and are much more popular, but they are also free to use. In addition you can also find everything in the training for free online. So what is the point of paying $37 for it? There is no point in my opinion. Not only does “Annie Jones” lure people in with the idea that they can make easy money doing this, which is deceptive and very misleading, but there is also a good chance that this lady doesn’t even exist. I ran a reverse Google images search of her photo and found that it is actually a stock photo that anyone can buy online and use as they wish. The lady in the photo is not “Annie Jones”. This is all a lie that was put together for the purpose of promoting this program. So now I don’t know what to believe. Does Annie Jones actually exist and this is just a fake image? Or is the whole thing completely made up? This is the type of behavior that really destroys this program’s credibility. Conclusion on PaidSocialMediaJobs.com – Scam? I do not consider PaidSocialMediaJobs a full-blown scam but I guess whether you do or not depends on your definition of a scam. There is no doubt that is a good bit of “scammy” activity going on with it. Overall they really just make the opportunity sound much easier and much better than it really is and they sell you stuff that can easily be had for free online. And of course there is the whole thing about the fake “Annie Jones” image. Overall this is definitely not a place I recommend buying into. I just don’t see the value in it and don’t like being lied to and misled. TutorVista Review – Should You Become a Tutor? 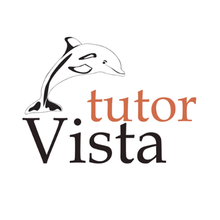 TutorVista provides an online tutoring service in a variety of different subjects and for grades from kindergarten all the way up to the college level. If you think you are qualified you can tutor through their online service and make some decent money from home, which is what I’m reviewing here today. In this TutorVista review of the job offered, I’ll be going over all you need to know if interested. I’ll cover things like flexibility, what tutoring sessions are like, how much you get paid, complaints and more. As mentioned, TutorVista offers tutoring services from low level courses going as far down as kindergarten all the way up to college levels. These courses can be in Math, Physics, Statistics, Chemistry, and pretty much all the main subjects. So if teaching one of these subjects to students is of interest to you, and you meet the requirements below, then this might be something worth considering. However, as with any job, their are downsides to it. So make sure you read everything including the complaint section. If you are looking to become a tutor here then you are more than likely going to need a masters degree in the subject you want to teach. On their website they tell you that this is expected but in some rare situations they may accept tutors without one if they feel their communication skills are up to par and their academic record is strong. You also are going to be required to work at certain times and for a certain amount of time. This isn’t a job you can just work at 30 minutes here and their as you like. As a TutorVista tutor you will be interacting with the student through their platform. You will have a virtual whiteboard in which you can draw on, just as teachers do in live classes, and you will be able to chat with the student in real-time. Students will come for tutoring with all sorts of questions so you never know exactly what to expect. You will have to well equipped with knowledge in the particular subject so that you can help with what they ask for. When it comes to work times this job probably isn’t as flexible as you may think since its an online tutoring position. You will be required to work certain times of the day. Its not a freelance tutoring position where you just work when you feel like it. They schedule you shifts where you must be online. As I’m writing this they are hiring for positions where you must be able to work at least 4 hours per day, but this might not always be the case. Students are able to schedule sessions ahead of time or they also can loggin at anytime they want to be connected with a tutor. Because much of the tutoring is provided on a “come and go” basis, much of your time that you are scheduled to tutor will be spent idle, meaning you will have to be logged in waiting for sessions but don’t know when you will get any, unless of course their are pre-scheduled sessions that they have set you up with. The sessions are around 45 minutes long each but this will vary. TutorVista tries to hook the same students up with the same tutors for certain subjects when they are able to. This is nice because you can get used to students and start to build relationships in a way. Many other online tutoring aren’t like this… you just get random students that you will likely never see again. This is definitely the most common compliant I’ve come across. They don’t tell you how much they pay but from what I understand it will range a lot. I’ve read on another review site that they pay anywhere from $8-$39/hr but based on what I’ve been reading most tutors are making on the low side of it. This also doesn’t count when you are sitting idle waiting for tutoring sessions. I’m not sure how the pay works with this part of the job. Another complaint having to do with this is that there isn’t really any room for growth as a tutor. Like I just said again, as a tutor you may have to sit around quite a bit just waiting for sessions. This depends on a lot of things such as what you are teaching, what time of day you are scheduled, etc. Students can be rude and very unappreciative. This just comes with the territory and you have to be willing to take it. Conclusion on TutorVista – Is It Worth Your Time? Overall TutorVista is pretty good and definitely not a scam in any way. There are a lot of people complaining about it and not recommending it to others but then there are people that have been working as a tutor for years and still love it. The extremes go in both ways. One thing I would say for sure is that if you are looking to possibly apply for a tutoring job here don’t do it for just the money. There are many complaints about the pay being low so I feel that the people that really enjoy this job are the ones that get a lot of satisfaction with helping students. Something else you might be interested in since you are looking to make money online is how I make a living. You can read my “make money online guide” to see what I do, how it all works, etc. if you’d like. 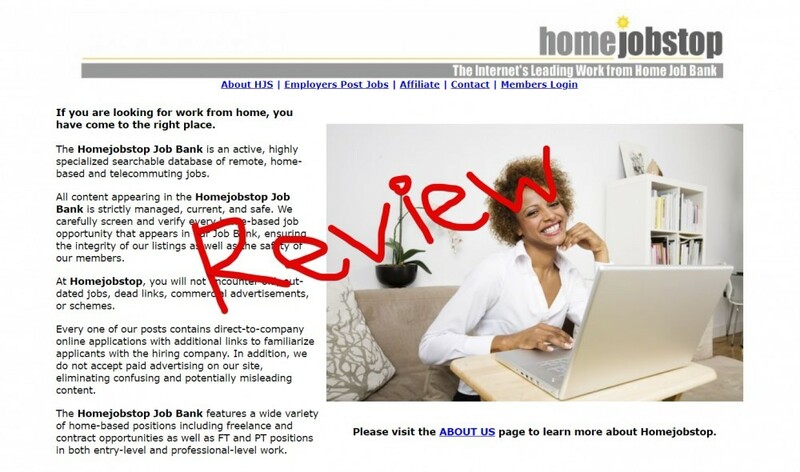 Fancy Hands Virtual Assistant Job Review – Is It Worth Your Time? Thinking about making a bit of extra money online by getting a Fancy Hands virtual assistant job? Wondering if its really worth your time? Well then you are in the right place because In this review I’ll be going over a few things worth knowing beforehand. Sure its nice that you can work from home at anytime of the day and for however long you want… but as with any job there are downsides to it as well. I’ll be going over it all. Fancy Hands is a virtual assistant service that provides online help for people looking to get help with various tasks, usually requiring research on your part, which you of course get paid for. As a VA you will get to set your own hours. This flexibility is what lures so many people to apply for this position. You are your own boss and you choose when you work. Overall Fancy Hands seems to be a decent VA position at best. I’m just being honest here. There are too many downsides to ignore and I want to do my best to let you know what you are looking into. On the website they advertise the service as a team of virtual assistants being able to tackle peoples’ “to-do list”. What does this mean? It means that as a virtual assistant at Fancy Hands you will be getting all sorts of tasks and never really know what to expect. A to-do list can contain all sorts of strange things. You could be planning someone’s vacation to Puerto Rico one minute, looking for the cheapest medical school in Florida the next minute, entering some boring data into a spreadsheet the next, and doing some product research later on. There is no telling what type of tasks you will have available. You will be able to pick and choose what you want. So you can be picky but sometimes you won’t have the luxury. It all depends on what all is available and the amount of other VA’s picking up tasks at the same time (your competition). Anything that can be done online and that may or may not require a cell phone is possible. When it comes to the hours you are able to work whenever and however long you want. However, its not like you can just hop online at anytime and expect to get a bunch of good tasks. The demand will vary so you have to shift your schedule around to when the best time to work is. I couldn’t really find a list of requirements that you have to meet to become a VA, so really don’t think its a hard position to get. It seems that you just have to speak English, have good communication skills, good grammar, and you must be able to complete a task with flying colors as a test. If you are good on a computer and can communicate well then it shouldn’t be a problem. I’ve read over quite a few negative reviews about VA’s getting paid $1-$2 per hour after doing all the calculations. This is something that is absolutely unacceptable yet seems to be happening all too often. If I were you I would read over all the VA reviews on Glassdoor, and other sites so that you can form your own opinion on this. Its probably the most common complaint I have come across. I’ve read through complaints from VA’s claiming that some customers will be unsatisfied no matter what. They might have you complete a task that involves you opinion on something and not like your opinion, and since Fancy Hands’ is all about satisfying the customer you are the one that will get screwed. Apparently Fancy Hands is getting pretty lenient on the tasks that they allow to be posed. Many of the “short” tasks turn out to be all day events, according to many assistants. They are supposed to take no more than 20 minutes to complete but this isn’t even close to being true half the time. As I mentioned above, Fancy Hands is all about providing the best customer service possible, which means you get the short end of the stick when it comes down to it. So if you get some ridiculous task that was vary vague and has you searching the web on a wild goose chase, Fancy Hands doesn’t seem to care about this, they want you to keep working until the customer is satisfied. They don’t seem to care much about the VA when compared to the customer, which is sometimes understandable but other times down right wrong and illogical. If you do go ahead and apply for the VA position please do not do it thinking you are going to be able to make money to live off of. This is best looked at as a way to earn some extra money. If you go in and try to make this your full-time job you will only end up disappointed and discouraged. The pay is low and you never really know what to expect. Its just not something you can count on to pay the bills. Conclusion on Fancy Hands – Good Opportunity? Fancy Hands seems to be an “ok” way to earn a little extra money online but there are a lot of complaints recently and VA’s who have been with them for years claim that things are going downhill. I’m not going to tell you to avoid this place but I want you to know what you are possibly getting into. But don’t just take my word for it, do your own research as well. Some other somewhat similar job places you might be interested in include MicroWorkers and PicoWorkers. Also you might be interested in taking a look at how I make money online working for myself. You can read over my guide here where I explain what I do, how it all works, and what I consider to be the best way for beginners to get started. If you are looking for a work from home receptionist job then Vicky Virtual is one of your options. They are a rather new company and have a good reputation thus far. 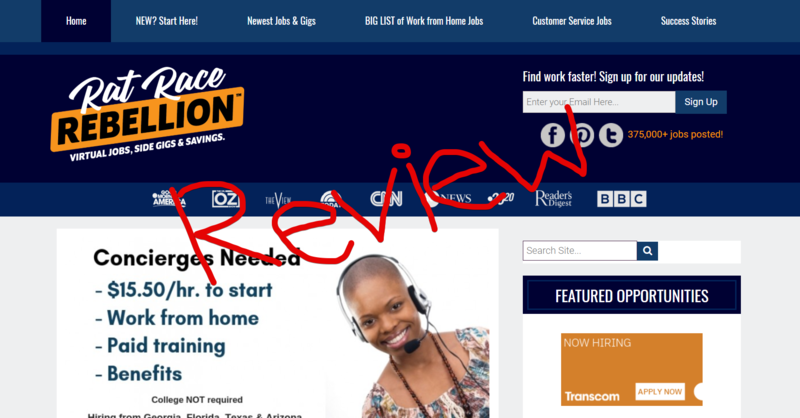 In this review I’ll be going over what is Vicky Virtual, what they provide, who the job is a good fit for and more. Vicky Virtual is a virtual call service that companies and individuals can use to answer their phone lines. This service could be for a variety of different reasons. Maybe a client needs someone to perform regular old customer service, maybe they need someone to schedule appointments over the phone, etc. They hire people with little to no experience that are looking for work-at-home type jobs, which is a category I’m guessing you probably fall into. What is nice about Vicky Virtual is that they are different from most other call services. They are all about adding that personal touch to the otherwise boring and machine-like virtual call industry. They are not looking for receptionists who are just going to do the bare minimum. They want enthusiastic people that can carry on good conversations with callers and really help build a good reputation for the client they represent. Pretty much the goal here is to be a virtual receptionist that doesn’t seem like a virtual receptionist. They want callers to talk to you and to get the impression that you are sitting at the front desk of the company, not in some remote location that has nothing to do with it. This job is mainly for those that are looking to work from home and that enjoy talking to people. Much of the job consists of answering calls so being able to do this in a pleasant way is a must. Its best if you are a people person. The clients that will be hiring you are looking for good communicators. If you are the type of person that can have conversation with anyone then this might be a good fit. You will also have to be willing to work with computer programs. You will be working from home and your computer will be your best friend. Its also important that you are organized and self motivated. Working from home takes discipline with no boss breathing down your neck. Applying for a virtual receptionist position is pretty straightforward and there is nothing out of the ordinary about it. If you have filled out a job application before then you will be able to go through it easy. The process is all done online. You will have to fill out personal information, education history, work experience, list some references, talk about skills that qualify you for the position and so on…. all standard application stuff. When starting out you will get paid $10/hr. However, there is room for improvement. From what I have heard some receptionists that have been working with Virtual Vicky for a while are making up to $15 per hour which is pretty good. They mostly hire full-time receptionists but I’d assume there is probably a need for part-timers as well. Unlike some work-at-home jobs, here the schedule isn’t as flexible as you might think. Because Virtual Vicky caters to US clients most of hours that are in demand will be during the day. So if you are looking for a work-at-home job that you can fit around a job you already have, this might not be what you are looking for. Conclusion on Virtual Vicky – Good Opportunity or Not? Ultimately the answer to this question depends on what you are looking for. They are not a scam company so you don’t have to worry here, they pay decent wages and from what I can see they treat their receptionists well. But what it all boils down to is your personality. If you like talking… you know.. you just love to talk to whomever, then this might be something worth pursuing. I know there are a lot of people out there that would appreciate Vicky Virtual’s way of doing things more than other virtual call center services because of how they go for a more personal and warm-hearted experience. Anyways… the decision is yours. Vicky Virtual is a good company and I don’t really have anything bad to say. Something else you might be interested in taking a look at since you are looking to work from home is how I make a living working online. I’m a blogger to sum it all up. I make over $6k a month blogging online and if this is something you would be interested in doing you can read more about it Here. Online Web Typing claims to provide lucrative work from home data entry jobs that are easy and that you don’t need any experience for. But is this really true? Or will Online Web Typing scam you in one way or another? I know you are probably suspicious of this place which is why you are reading my review right now. I wrote this review for this very purpose… because I know there are going to be people looking for answers. The truth is that I’m suspicious of it too. In this short review I’ll be going over some red-flags that make me a little uneasy about it all. The service that Online Web Typing (onlinewebtyping.com) claims to provide makes sense and all but things just seem a bit too good to be true. They claim to provide an outsourcing service for companies that need data entry performed. I have seen places that do this but I’ve also seen a number of scams that claim to do this as well. The thing that makes me hesitant to pay to try this out is that they do tell a few lies and that things just seem too good to be true. They are claiming you can make £20 to £25 per worksheet which takes less than 1 hour…. that is a heck of a lot for a data entry job. They also tell you that you can work at this part-time or full-time. Pretty much everything about it makes it sound like a dream job for someone looking to make money online. They tell you that you are paying the $35 fee to support their site, and this is great and all… but this usually isn’t how it works. Normally the companies that are using the Online Web Typing outsourcing platform would pay for their services, not the other way around. This could be 100% true but I’m suspicious of it. They messed up with this one. 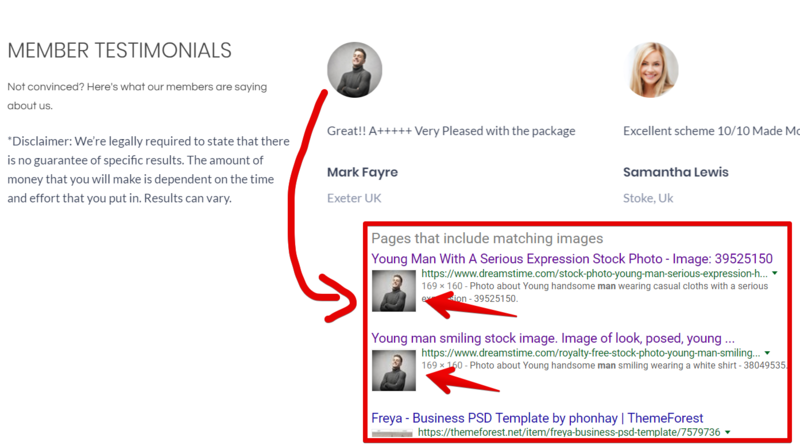 They probably thought no one would notice this but I review work-from-home opportunities all the time and always look up images to make sure they are legit. They claim to have been around for over 5 years and to have provided over 25,000 data entry jobs thus far. Yet there are no reviews from works on sites like Glassdoor, Indeed, and other job review sites. With a place like this that claims to payout so much for such easy work I would expect to hear people ranting and raving about how great this place is…. but they aren’t. I can’t find any real reviews from workers who have tried this place out. I get that data entry is an easy job but things just aren’t making sense to me. They are letting any and everyone that want to join into the program. Then they don’t even use a bidding structure when it comes to giving people certain jobs. This means that they just give any job to anyone, no matter what the skill level required or the nature of the data entry. This just seems like horrible outsourcing in my opinion. If everything is true that they say then its great for the workers but it would be awful for the clients that are paying for this service. 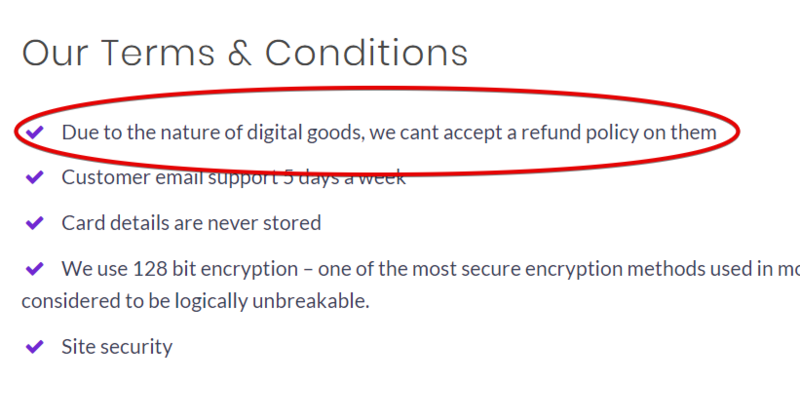 They tell you that “Due to the nature of digital goods, we can’t accept a refund policy on them”…. I have no idea what they are talking about here. It should be so simple to refund people’s payments. According to them all you are paying for in the first place is access to the platform and to help keep it running. So all they would have to do is cancel your access…..??? How hard is that. Its not like they are actually giving you a program or anything of that nature. Can This Possibly Be The Real Deal? Ok so lets think about this….. You have to pay to get jobs through this site and there are no refunds, there are fake testimonials, there are no real reviews I can find even though they claim to have been around for 5 years, and they give any job to anyone regardless of experience which is horrible for clients. And on top of all of this they claim to pay £20 – £25 (about $28 – $35) per hour. If you compare the pay that this place claims to give out compared to known legitimate freelance data entry sites like Truelancer or SigTrack, its not even close. I don’t understand how they would possibly be able to afford to pay people this much. Conclusion on Online Web Typing – Scam? I’m not sure what to say about this place. I haven’t actually paid for their services so I can’t say for sure. However, it seems like it very well could be a scam. Things just aren’t adding up and the pay seems WAY too good to be true. They tell you everything that people want to hear. Of course you don’t need any experience, the job is super easy, and you can make a ton of money. At this point there is no way I am going to recommend this program. There just isn’t enough information and transparency going on. Or maybe I should say there isn’t enough “good” information. Much of what they tell you is vague and just doesn’t add up. If you have your own review for this place I would love to hear it. You can leave a comment below if you think I should add anything here. Also I would suggest taking a look at how I make money online since you are looking for online work. I wrote a guide you can read Here where I go over what I do, how it all works, and how others can get started doing the same. I’ve been making money online since 2015 and am currently making a living doing this.